Please select an option White sailboat Light blue sailboat Navy sailboat White anchor Navy anchor Grey anchor Grey shark Navy shark Light blue bicycle White bicycle Please select a Color. Please select an option Small Medium Large X - large 2xl Please select a Size. A sharp dressed man has several button-down shirts in his closet. If you are looking to step-up your style sense this new year, take home this Men’s Long-Sleeve Button Down Shirt, in fact, at prices this low you can afford to take home several. 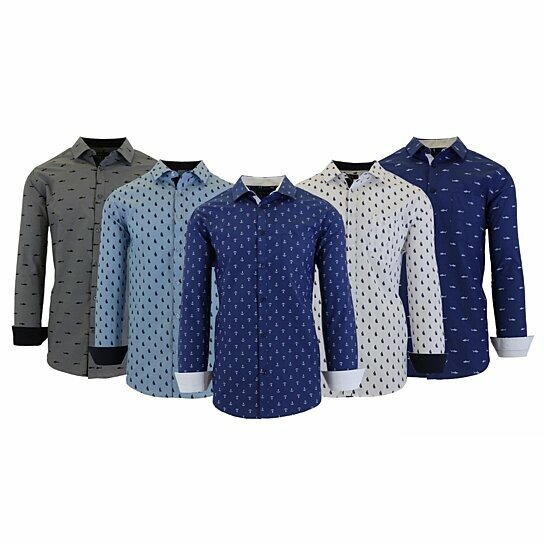 Every guy deserves a cool shirt or two in their closet and this one is sure to improve your fashion street cred immensely.